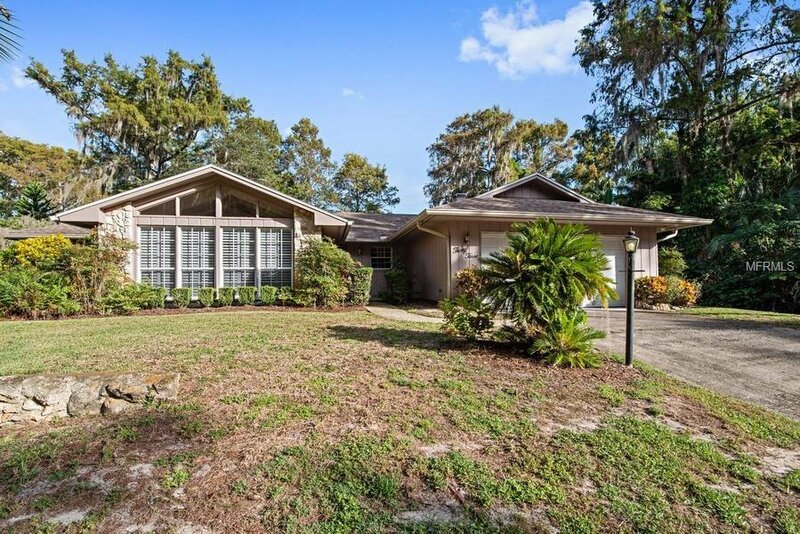 Canal Front Home with access to the Winter Park Chain of Lakes. This one owner custom built home is perfect for the empty nester or bring your builder and build your custom dream home. The home has tremendous potential to remodel and personalize to whatever lifestyle layout and features a buyer desires.... This home offers scenic and tranquil views of your canal leading to Lake Maitland. The open concept kitchen features solid wood cabinetry with a stand alone pantry. Great entertaining starts in the large family room and continues as you open the oversized slider to the covered and screened porch with water views. The large master bedroom suite sits on one side of the home and features a large walk-in-closet with en-suite bath. The second bedroom covers the opposite side of the house and also is en-suite. The generously sized back yard offers 100 feet of canal views. Mature landscaping and cypress line the canal. The boat house features an electric lift. There is an additional storage/workspace for skiing and fishing equipment. Phenomenally located, it's just minutes by water to the Winter Park Racquet Club and easy access to Winter Park and Park Avenue. This is a great opportunity to have access to the chain for under $1M. Come see it Today!